Save thousands on truck tires each year by avoiding these 4 common mistakes. Truck tires play a significant role when it comes to hauling freight. 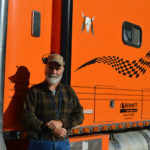 In fact, they are one of the most important assets of your truck. 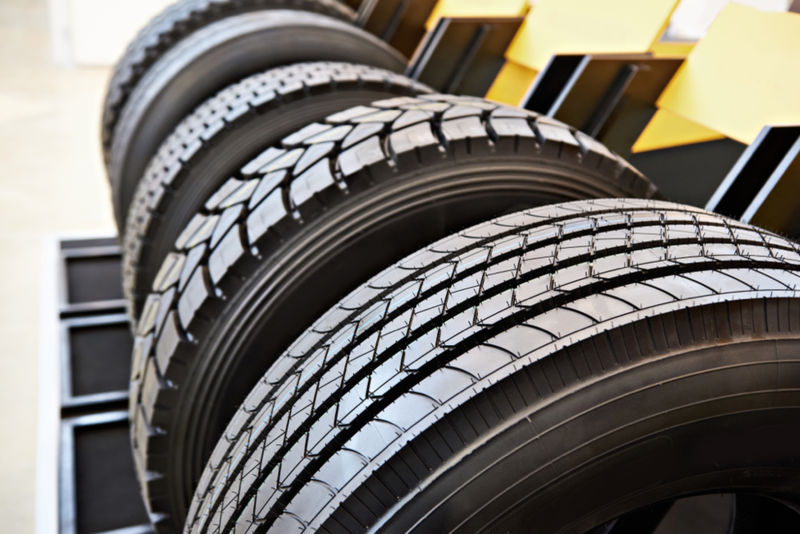 Truck tires significantly contribute to fleet operating costs and fuel consumption. A good tire management program can end up saving you thousands as a small business owner, helping you keep more money in your pocket. Truck tires found on commercial vehicles usually weigh more than 10,000 pounds in Gross Vehicle Weight. Generally constructed of a single steel body ply with three or four steel belts under the tread, truck tires are designed to last hundreds of thousands of miles on their original tread. Afterwards, they can be retreaded and put back into service for many more miles. More importantly, tires for big trucks play different roles depending on their mounting position. The front tires are used for steering, the trailer tires bear the payload, and the rear tires on the trailer help shoulder the weight of heavier loads while equally distributing energy onto the road itself. Therefore, when a tire is scrapped, it’s usually not a result of the tire itself. It’s often due to preventable problems. The following includes the suspects of premature tire death, and what you can do to ensure you get the most out of yours. This is the most common factor in tires that are ruined prematurely. According to the American Trucking Associations’ Technology and Maintenance Council, you should be checking your tire pressure once a week. This should take you no longer than 20 minutes and could save you lots of money in the long run. Just 10 percent underinflation will shorten tread life by approximately 9 to 16 percent. When tires are underinflated, there’s not enough air to properly support the load, which causes heat buildup and results in the softening of the rubber. To get the most out of your tires, experts suggest tire inflation monitors or using an accurately calibrated tire gauge. Some companies even offer ways to help drivers offset the costs of tires over time. 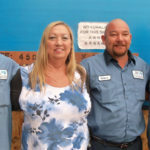 Here at Bennett, we understand the importance of preserving tires for as long as possible, which is why we also offer exclusive tire discounts for our owner-operators. Unfortunately, the most unpredictable road hazards are the most difficult to manage when it comes to tires. Curb strikes and glass or a nail in the tire often results in having to purchase a replacement. However, you can moderate this issue by getting the proper repairs when applicable. Inspect your tires for this type of damage to prevent a roadside service call. Mismatched duels can cause early wear and tear on your truck tires. If there’s an inflation mismatch greater than 5 psi, this means the larger tire will drag the smaller one; for roughly 246 miles for every 100,000 miles driven. The larger tire does the heavy lifting, while the underinflated tire doesn’t make proper contact with the road. This ultimately cases the tire to wear faster. Once again, this problem can be prevented by using a tire gauge to ensure even pressure on the duels. There are several different types of tire problemsthat result from misalignment including toe-in wear, toe-out wear, full shoulder wear, one-sided wear, feather wear and thrust angle-induced full shoulder wear. Alignment refers to more than just the various angles of the steer axle geometry, but also includes the trailer and tracking of all axles on the vehicle. In order to check trailers for accurate alignment, you must first measure from the kingpin to the front axle, and then from the front axle to the rear. If the dimensions are nearly identical, this means your truck is properly aligned. Check out this helpful video to see how to properly measure your trailer alignment. Overall, your truck tires need some TLC to get the most use out of them. However, when you do need new tires, Bennett has great discounts with several of the most well-known manufacturers. Our discount tire brands include Continental, Goodyear, Bridgestone, Michelin, Double Coin and Yokohama. If you’re considering a career change, it’s time to think about joining Bennett. 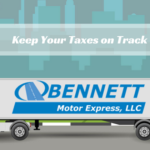 To learn more about what it’s like to drive with us, or if you’d just like more information about Bennett Motor Express, visit www.bennettig.com, or contact one of our recruiters at 800-367-2249!